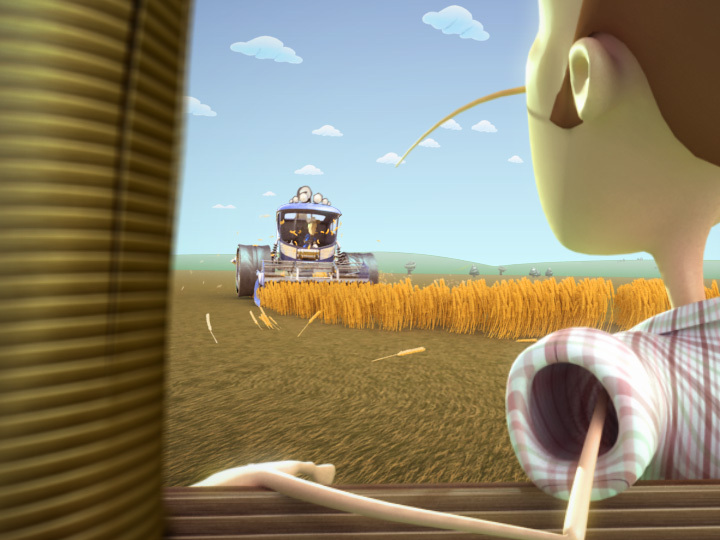 "Kraft Dinner Pimp My Ride"
This is a :10 add-on tag for whole wheat KD as a follow-up to the previous Kraft KD commercial created at Hatch Studios Ltd. We feature the same style of characters and environments in a story that involves a farmer playing a joke on his friend. As he cuts the wheat field with his Pimped-Up Combine, he pulls a daring maneuver and sprays his friend with a wave of KD. All is good as his friend wipes off the KD from his shirt to reveal the KD logo. 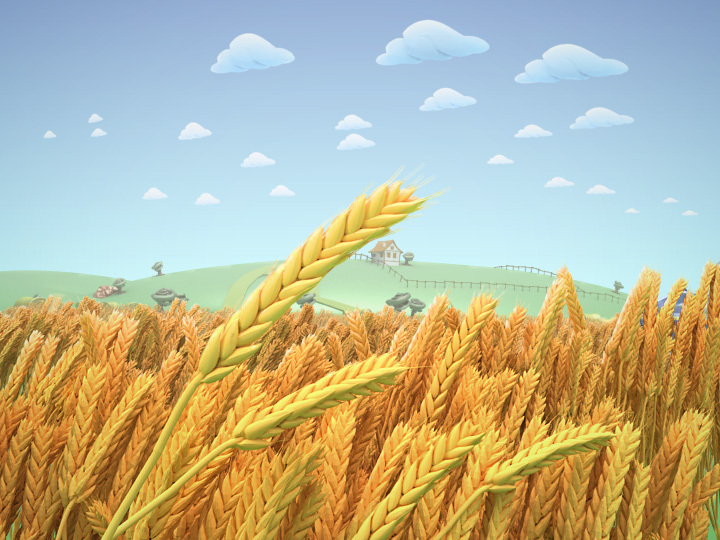 This project was actually quite complicated to render due to the complexity and high polygon count of the wheat field. There were various layers created: the foreground one with full geometric detail, the middle ground ones with less, and the background ones with very few polygons. Despite this, the addition of the combine vehicle produced rendering limitations due to excessive memory issues. As a result, scenes had to be carefully separated into more layers than would normally be required and later, re-composited together again using numerous mattes. The result, however, turned out just fine. This project was modeled with Silo and 3dsmax 9.0, rendered with VRay 1.5 RC3 and composited with After Effects 7.0.